Joanne will speak at the Sales Performance Management Conference on Thursday, October 17 at 1:30 during her breakout session, “Pick Up the Damn Phone! How People, Not Technology, Seal the Deal.” Register now to attend. The digital world—as great as it is—threatens personal connections. Even with whisper-light computing power and immediate, 140-character Twitter posts, we are a face-to-face species, one that thrives on interpersonal communication and being in the presence of like-minded individuals working together to accomplish results. Email, texting, and social networking all have a place in business today. But none of them can replace an in-person connection. Maintained and nurtured networks of colleagues, clients, and prospects. None of this has changed … and probably never will. The problem is that we get so enamored with technology, and we sometimes let it take over our lives—and our sales processes. Before we know it, the technology that was supposed to make our lives easier is running our lives. We can’t sleep without our smart phones within reaching distance. Even on vacation, we bring work with us (or at the very least, clients can reach us). We can’t even get through a conversation with a client or prospect without showing off some sort of tech savvy. Winning in Sales 2.0 means leveraging technology and also learning how to keep it in its place. Technology makes our lives (and work) more exciting and, in many ways, more efficient. But it can also wreak havoc on our relationships and ability to function in the real world. This can become a problem for anyone, but especially for salespeople. Our relationships are, by far, the most important sales asset we have at our disposal. So if technology is weakening your ability to actually talk to people, it’s threatening your career. With mounds of information and data bombarding us, and management asking salespeople to do more with less, how do we choose the right course of action? Guess what? Your competition is doing the same thing. This sole reliance on social intelligence, rather than personal connections, is a waste of your team’s valuable business-development time. Even in our technology-driven world, nothing replaces a handshake and in-person interaction for both building and maintaining business relationships. In fact, 95 percent of business people agree that face-to-face contact is the key to building long-term relationships, according to Harvard Business Review. Executives are busy people. Most don’t have “meet with salesperson” at the top of their to-do lists. Our job as smart, strategic sales pros is to deliver value—real value. And technology won’t do that for us, nor will it give us a huge advantage over our competitors, who (let’s face it) have access to the same gadgets, gizmos, and applications. Your reps don’t have to hop on an airplane. They can drive a car, get on a bus, or take a train. Just insist they meet face to face with every major client and prospect. Face-to-face contact gives you the edge over your competitors every time. While you’re meeting with decision-makers, they’re still fooling around on LinkedIn. You make the effort; you win the sale. 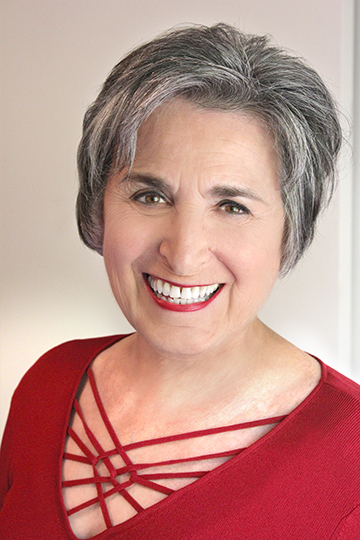 Joanne Black is America’s leading authority on referral selling—the only business-development strategy proven to convert prospects into clients more than 50 percent of the time. 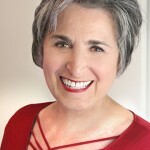 As the founder of No More Cold Calling, Joanne helps salespeople, sales teams, and business owners build their referral networks, attract more business, decrease operating costs, and ace out the competition. A captivating speaker and innovative seminar leader, Joanne is a member of the National Speakers Association. She is also the author of NO MORE COLD CALLING™: The Breakthrough System That Will Leave Your Competition in the Dust and Pick Up the Damn Phone! : How People, Not Technology, Seal the Deal. To learn more, visit www.NoMoreColdCalling.com, email joanne@nomorecoldcalling.com, or call 415-461-8763. This entry was posted in Sales 2.0 Events and tagged cold calling, customer relationships, customers, Joanne Black, LinkedIn, prospects, Sales 2.0, Sales 2.0 Conference, sales leaders, sales process, sales reps, sales technology, salespeople, social media, technology. Bookmark the permalink.